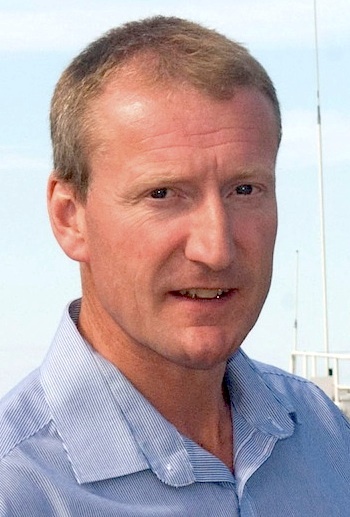 SHETLAND MSP Tavish Scott has called for the Marine Accident Investigation Branch to look into a near miss in Kirkwall harbour last Friday when the northern isles ferry Hrossey was forced to swerve to avoid hitting another vessel, thought to be the Marine & Coastguard Agency’s emergency towing vessel Herakles. Ferry operator Serco NorthLink took six days to confirm there had been an incident on the night of 3 July after passengers went on social media to report their experience. One of the 500 or so passengers on board that night said glasses and bottles were smashed in the bar and some people were thrown off balance when the ferry suddenly lurched sideways in thick fog, despite the sea being flat calm, describing it as “frightening”. In his letter to the MAIB, Scott wrote: “Passengers on board have a reported a sudden lurching to one side as the Hrossey made an immediate and sudden turn. However he shared local people’s concern that Serco NorthLink initially denied any incident had taken place, before admitting that it had on Thursday 9 July. “This is clearly a change in position by the company,” Scott wrote. “Given these facts I would be grateful if the MAIB as the appropriate investigating authority, looked into this matter and satisfied itself that all appropriate actions were undertaken in a timely manner. Both the OIC and the MCA have said they received no report of any incident.